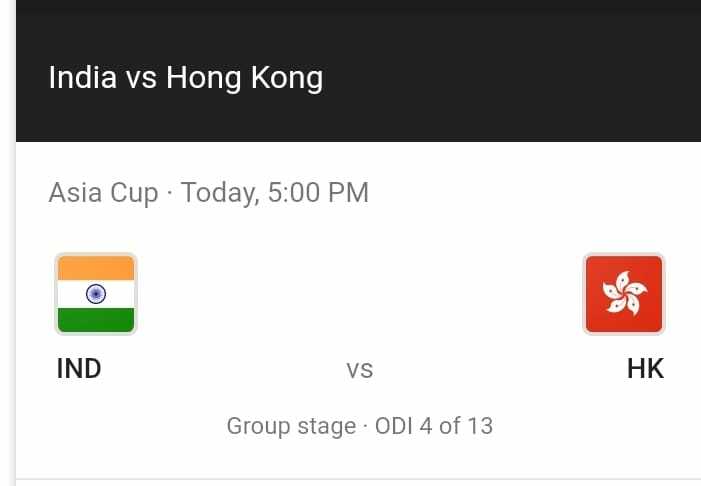 India will take on Hong Kong for the 4th Odi match of Asia Cup 2018 going to be be played on 18 september 2018, Tuesday at Dubai International Cricket Stadium, Dubai. India Vs Hong Kong 4th Odi Dream11 prediction Asia Cup 2018 is given in this post with all key stats. Rohit sharma will lead the team in absence of Kohli. They are not looking for make any changes. *Anshuman Rath, Babar Hayat, Aizaz Khan, Kinchit Shah, T Afzal, Nadeem Ahmed and Ehsan Khan are the 7 players from out of Probable11 which we can pick any 4.